Many people have seen that video floating around social media, the video where a group of non-Japanese people enter and sit down at a table in a restaurant in Japan, and the waitress continuously attempts to address only the one Asian person in the group, despite every other foreigner at the table explaining to the waitress in perfect Japanese that the Asian cannot understand Japanese. Being Asian, I can tell you that this is real in Japan, and this happens to me often. Very often. Many of my friends have watched the video and related to it themselves on the issue that their Japanese skills and attempts to communicate in Japanese are being ignored and disregarded as Japanese people tend to continue to interact with them in broken English, or that somehow their decent-to-great Japanese is incomprehensible just because they are foreigners. I watched the video and saw the harassment I sometimes face when some Japanese people look at me and expect Japanese to come out of my mouth, even though I was trying to get away from it. I believe that there is a mental block in the Japanese people I was dealing in. No matter how hard they think about the situation, they could not come up with the solution of speaking English to me, simply because I did not fit the visible image of an English speaker to them. Part of the issue is also from education. Even if you see an expanding level of diversity in public education in Japan, the amount of English-speaking Asians is extremely low in English textbooks. Even if they have them, English would almost never be that character’s first language, so they too are represented as learners of English rather than users of English, which would lead people to think away from using that as the common language. In fact, I have never seen an Asian-blooded character from an English-speaking country in English textbooks in Japan. I would not be surprised if the whole Asian-blood-English-speaker concept is non-existent in most people’s minds. I had a very interesting situation happen to me a few years back too, and it started as if it was a classic racist joke: three guys were standing outside a pretzel shop, a white guy, a black guy, and an Asian guy (that was me). We were thinking whether we would get a pretzel or not, and after a clerk came out from the store to offer us samples, the black guy walked in to order one. The clerk inside and the black guy had an exchange in broken Japanese and English and the black guy came out with a fresh pretzel and the clerk was relieved that the interaction was over. Then the Asian guy (again, me) saw the nice pretzel and walked in. The clerk greeted me in fluent Japanese only to be met by my broken Japanese, and another exchange of broken Japanese and English began and resulted in another pretzel sold and another sigh of relief from the clerk. The white guy saw that everyone got pretzels except him, so he walked in and the clerk was ready this time. 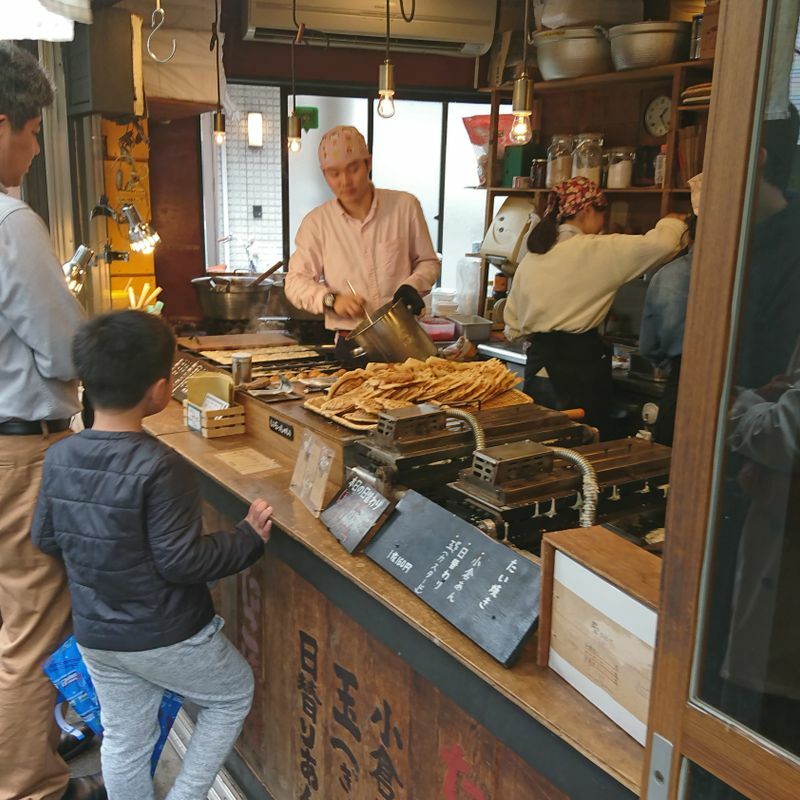 He greeted the white guy in English, “How may I help you?”, only to receive an order of a pretzel in the most fluent level of Japanese ever. The third pretzel was sold, and I will never forget the extremely confused face of the clerk. This incident taught me how much it boggles the minds of many Japanese people here when our language does not match what they expect to hear. It is very difficult for them to switch their mindset to carry on with the communication. I often go out to restaurants with my friends here in Japan and find that the clerk always turns to me automatically to take the order or hand me the receipt rather than to my visibly-foreign friends. In those moments I always make a gesture and let my friends handle the order. Even if my Japanese is good enough, I don't want the opportunity for my friends to use their Japanese be stolen by me, just because I am Asian and standing next to them. For more on the experiences of being Asian in Japan, here are two more articles about them.